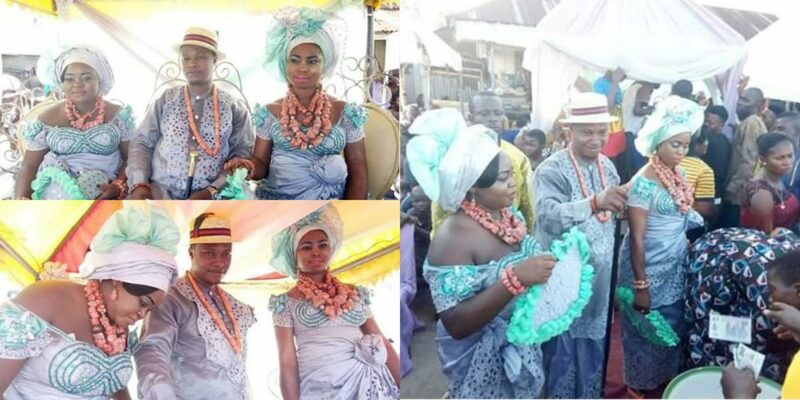 While many Nigerian men stick to one wife not just because of religious demands but hard economic realities, a young man has secured two beautiful women for himself in marriage on the same day. 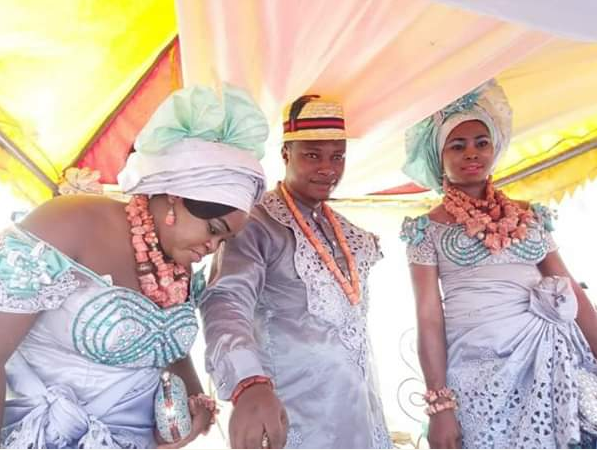 The Nigerian man and his two brides/wives have put themselves in the limelight after their wedding picture surfaced online. 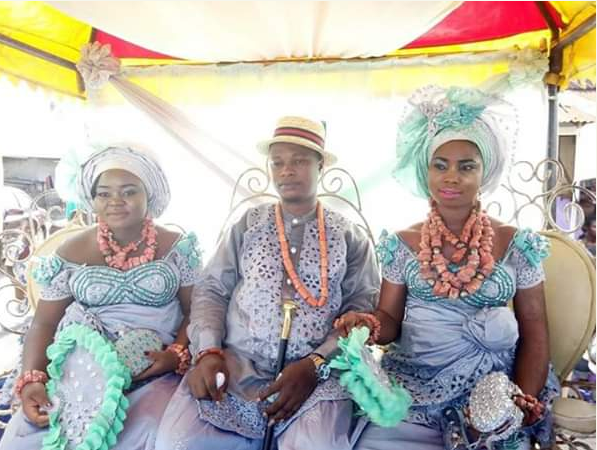 Here are viral wedding pictures of a prince from Igbide, Isoko South local government area of Delta State who officially tied the knot to two women on the same day on Saturday, October 27th, 2018. 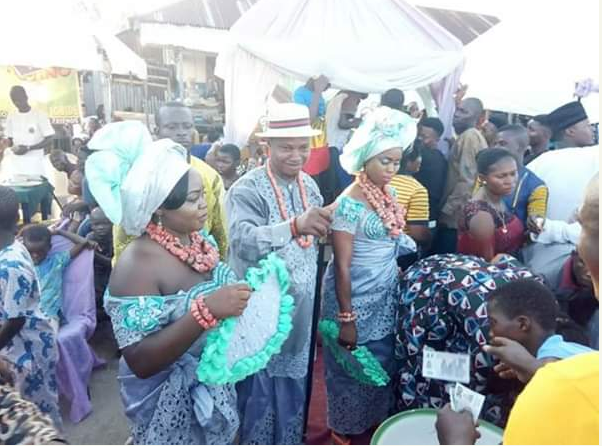 According to reports made available to Brainnews, the said man identified as Obukeni Prince Monday Ochendu from the family of His Royal Majesty Edward Obukeni 1 (Jp) Ovie Of Igbide Kingdom – got married in style to Miss Ufuoma Ozoro and Miss Oghale Andrew at Uruwhre Quarter, Igbide Kingdom Isoko South Local Government Area of the state.